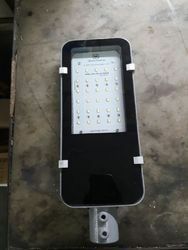 Pioneers in the industry, we offer 30 watts solar led street light, 12 watts led based solar street light, 18 watts led solar street light, 24 watts led solar street light, 30 watts led solar street light and 9 watts solar street light from India. 30 Watts Solar LED Street Light offered are perfect street light solutions and find suitability for use in areas needing bright light. Providing for consistent performance, these are suitable for use from dusk to dawn and come with superior quality standards that make these withstand adverse weather conditions. Available in aluminum casted fixtures, these feature use of Edison/ Osram/ Samsung make LED and deliver lumens of 120 LM/watt. Further, these come with solar PV Charger that is digital (micro processor based) and have current rating of 6 amps. For superior performance, these also come with protection from short circuit, over charge, low level cutout, deep discharge cutout. 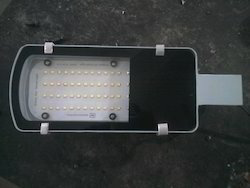 9 Watts Solar Street Light offered comprise quality lights that provide for optimum solar electricity generation. 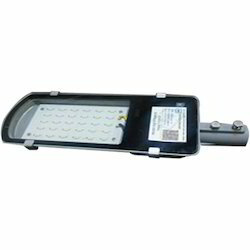 These lights are suitable for illumination of street areas in both urban and rural locations as well as match up to the demands of cost-effective and reliable performance. The lights also come with support of automated lighting controller as well as light dimming feature which makes them longer in performance. These street light fixtures come in aluminum casted finish with Edison/ Osram/ Samsung based LED with lumens of 120 LM/watt, I.P. rating of IP 65 and input voltage of 12 V DC. 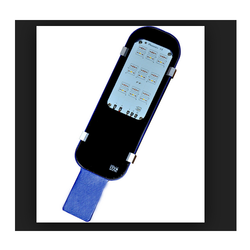 Providing for working Life of > 50,000 Hrs, these also come with solar PV charger that is digital (micro processor based) and come with protection of deep discharge cutout, over charge, short circuit, low level cutout.